Despite new modern attacks against lawns, every lawn is highly environmentally responsible, cleaning masses of pollution from the air every day. In fact, a lawn would need to be constantly and grossly mismanaged and over-managed to ever get to the point of doing more harm than good. But we should all make the very best improvements possible to our lawn care to reduce their effects to the lowest levels possible. When it comes to choosing and maintaining the most environmentally friendly lawn, there are several different factors which come into consideration. At the end of the day, the simple answers are that we should do everything possible to reduce maintenance and lawn care practices. This factor relates to the growing speed of the grass type, the result of the growing speed of the grass will directly equate to how often the grass will require lawn mowing. And while lawn mowing will produce carbon emissions – lawns will always enormously produce more clean oxygen from polluted air than the lawn mowing requirement could ever possibly create. A grass which grows very fast may need mowing every week, whereas a grass which is slower growing may only need mowing once a month. When all the lawn mowing is combined over the weeks, months and years of a lawn, there is a massive difference in the needs of each of the different grasses. An environmentally responsible lawn is one which grows slowest for our needs and requires the least lawn mowing. This factor determines the maintenance levels of a lawn, and refers to thatching levels in lawns, and its natural resistance to weeds, diseases and lawn pests. 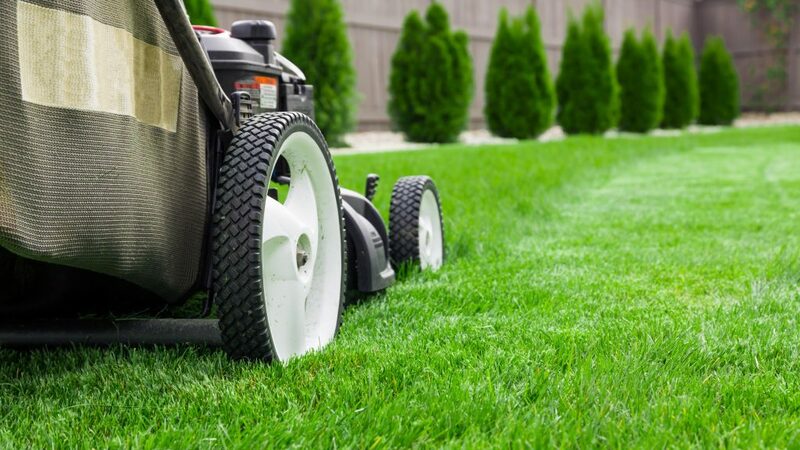 Having to treat one lawn type considerably less for these problems than another lawn type definitely makes the lawn more environmentally friendly, as we are using less powered equipment and using far less chemicals on our lawns. This type of lawn will need far less de-thatching, less fertiliser to help repair damage from scalping, and far less use of chemicals to treat weeds, pest and disease in home lawns. An environmentally responsible lawn is one which requires the least lawn maintenance. The excessive use of fertilisers also leads to many nutrients being washed into waterways and creating environmental damage such as the huge algal blooms in our waterways which we all see on the news. And when it comes to fertilisers, most of us over apply them, and apply them at the wrong times of year – with the least benefit to the lawn and with the greatest run-off and waste of nutrients. The process of making these fertilisers is also energy intensive. Fertilisers also need to be moved in trucks around the country and around cities, and some even come from overseas being hauled by cargo ships. It’s easy to see that the fertilisers can be very expensive to both wallet and the environment. So the grass with the lowest fertiliser requirements to stay in healthy order is also the grass with the lowest environmental impact, and is one of the lowest cost grasses to maintain over the life of the lawn. Using lawn fertilisers correctly and minimally is also of highest importance. An environmentally responsible lawn is one which requires the least lawn watering in order to remain in its best condition and to even remain in average condition without dying. There are many differences between the lawn types as to their lawn watering needs, so it’s important to research each lawn type as well as possible. Almost all warm season grasses such as Couch, Kikuyu, Buffalo, and Zoysia are all far more water wise than the cool season alternatives. So, sticking to warm season grasses when living in the warmer regions is almost always the best option wherever possible. 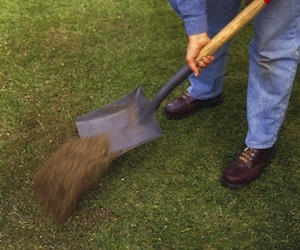 Visit the Quick Lawn Selection Guide to see which varieties best suit you and your conditions. We also need to learn to water lawns correctly. To only ever water the lawn when it shows signs of leaf discolouration and a slight leaf wilt. And then to water the lawn very deeply, in order to send the roots of the lawn as deep into the soil as possible, which in turn – the lawn requires less watering from us, the roots are less prone to dehydrating in hot weather, and the lawn is far more drought proof over its life. The lawn will need to be able to tolerate water restrictions and drought conditions without completely dying. It will also need to be able to recover from drought conditions once the availability of water resumes. 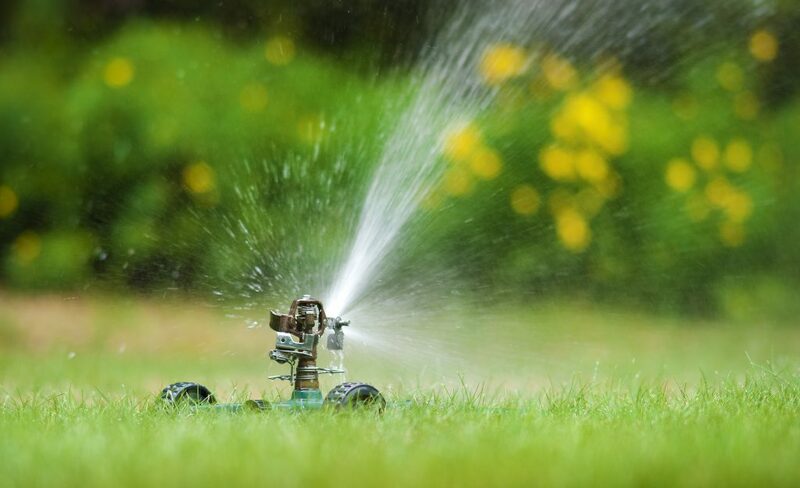 We just covered how to water a lawn properly to create a deep root system while using less water throughout the year, and these methods will also create a very drought-rugged lawn. Some lawn types can stay greener for longer under low water conditions, but this has no bearing on a lawn-types ability to repair after drought conditions have ended.